Created to encourage your child to make sense of their world through a sensory-rich environment filled with sites, sounds, and textures. Our emphasis is on creating a healthy, safe place for your child to grow as their curiosity grows. By year one go age, babies are beginning to develop into their own being. This is a very unique part of our program because we group these children as developmentally ready for deeper learning. They provide joy for their parents and their providers. This exciting time of growth is, for us, measured with our Ages and Stages plan. Their body is developing as well as their mind and their communication skills. Childproofing is very important at this age. Pre-Toddlers begin to put everything in their mouths. We strive to keep our environment safe and clean. Safety latches are used on all cabinets and toxic items are stored in high cabinets. Re-directing the children when conflict occurs is always used. A close rapport with the parents is very important with us as your infants grow into a real little person. Our toddler program encourages hands-on exploration and social interaction through age-specific activities and directed play. Our focus is on establishing a learning-rich classroom where your child can build the confidence they need and a sense of belonging where they can demonstrate their newly learned skills. Toddlers are on the go all the time. They are becoming independent through walking, running and climbing. Our Ages and Stages plan helps our teachers to understand what to expect of your child and how we can best nature them to meet their individual needs. We build our days activities around the toddlers’ curiosity and work toward understanding their world. Group circle time with the pledge to our American Flag is such an important part of our day. Group and individual reading time is also included. Biting is very common at this age and we prepare our teachers before it happens to understand how to work with the biter as well as the child that received the bite. We have books about biting and about being kind to our friends which are read often. Biting often occurs because of lack of communication, so we use a combination of skills to try to prevent bites from happening. You’re busy working. We understand! That’s why we partner with you to provide the best care for your child to discover and learn daily. This starts with a great learning environment packed with personal care and individual attention geared to your child’s specific needs. 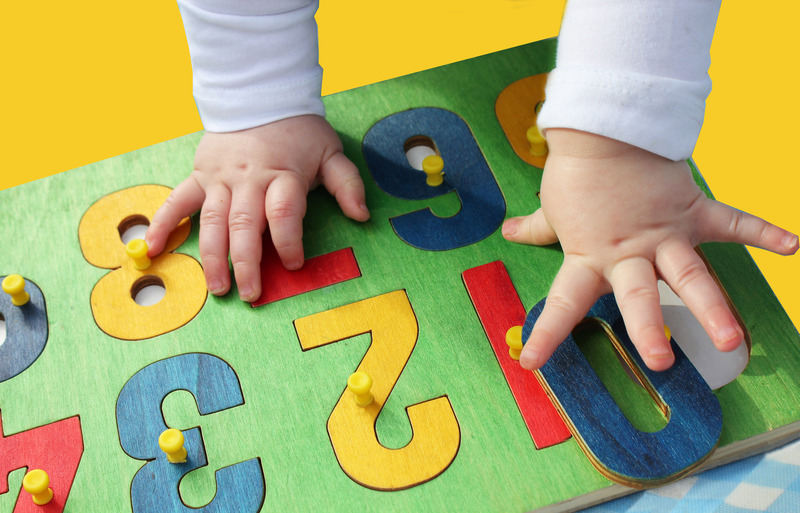 Our curriculum for early education includes intentional planning and regular assessments to enable our teachers to create experiences based on what your child is ready to learn. The stimulating environment helps form a foundation for learning. We help you discover developmental milestones as your child Grows. We build on your kids’ natural curiosity and drive to understand their world and direct their play accordingly. PRE-TODDLER: Pre-Toddlers are beginning to learn vocabulary and to make connections with others. We focus on the music, songs, finger plays, books, dance, and games. New experiences are offered daily in a variety of actives. They begin to learn parts of their body, names of people, colors, and objects. TODDLER: Toddlers are like sponges because they are learning new vocabulary and making connections with others daily. Music, songs, books, games, finger plays, and educational toys are all incorporated into our curriculum. Toddlers are taught colors, shapes, objects, and names of people. Art projects are fun and part of our daily schedule. PRE-TODDLER: We want our pre-toddlers to feel safe and happy in their environment. Emotions will continue to develop with strong feelings towards their peers, family, and teachers. Beginning stages for sharing are demonstrated through play. Morrows, pictures, books, and educational toys are all used in a cozy, comfortable setting. 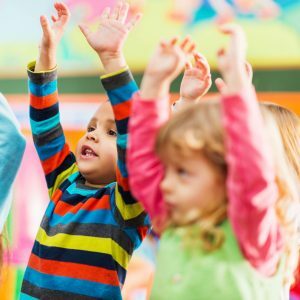 TODDLER: Toddlers must feel safe and comfortable in their classroom. Strong bonds are build daily with all their family, teachers and friends. Feelings are important as toddlers have a variety of emotions. Our teachers work with your child on a daily basis to help them understand how to deal with their emerging feelings as well as others. PRE-TODDLER: Pre-Toddlers begin choosing words to express their needs. Sign language is used to help your children communicate, especially for the pre-toddlers who haven’t yet discovered words. Please and thank you are encouraged and repeated often by the teachers. We take advantage of all teachable moments such as pointing to pictures and objects to keep learning on-going. Talk, Talk, Talk is our motto. TODDLER: Real communication begins as toddlers begin to use words to express their needs and to identify familiar people and objects. Sign language is taught to help with communication as cognitive skills begin to develop. Good manners and good hygiene is very important at this age and is taught daily by our teachers. We take advantage of all teachable moments to capture learning as the day progresses in a fun environment. PRE-TODDLER: Fine motor skills are developed in the small muscles. Children are encouraged to do things with their hands, feed themselves, wash their hands, pick up the toys and point to objects. We want your child to feel successful and happy with lots of praise and encouragement. TODDLER: Your child’s fine motor skills are continuing to develop in the small muscles like fingers and hands. At Darnall School, our toddlers are encouraged to do more things for themselves such as washing their hands, feeding themselves, putting toys away, and getting their room ready for the parents. Craft projects are also provided individually and within a group. Coloring, drawing, painting, and counting with their fingers are all activities we engage your child in. We want all children to experience success and happiness and learn to be a part of a group. We work towards stimulating creative learning and development. PRE-TODDLER: Climbing is just starting for pre-toddlers developing gross motor skills. Large muscle groups such as those found in the legs and arms are developed. At Darnall School, we encourage your child’s development through play. Climbing, running, jumping, dancing, and hopping are all practiced daily in a safe environment, both inside and outside. TODDLER: Gross motor development is the growth of large muscles such as the arms and legs. Toddlers love to climb. A safe and happy environment is provided inside and outside to promote these developing skills. Jumping, running, hopping, climbing steps, and active play are all included in our daily schedule. PRE-TODDLER: We encourage lots of play but we going in that play to make sure the children know we are always close by their side. Sharing is hard but lots of hugs and high-fives are given for moments of sharing and kindness, We teach stack blocks, hold and rock baby dolls, use musical toys and start putting simple puzzles together. Each of these activities stimulates your toddler and helps them develop social skills in group environments. TODDLER: Toddlers begin to learn to play for longer periods of time but they still need to know their teacher is close by. Our teachers play, talk, and are very involved in the child’s day. Social skill activities are planned to help toddlers share and respect the rights of others. Toddlers love to help and pick up toys so the teacher uses this as part of their daily activities. Arts and craft activities are planned daily and are displayed in the classroom and hallways.